Happy Mother’s Day! Currently Momma Moy is enjoying her Sunday by taking photos of cherry blossoms at High Park, buying fabric for a dress she’s making and will probably go grocery shopping to make a stew and an apple pie for tonight (supermom status). While she’s out I have decided to dedicate this lovely Mother’s Day post to her. If you’ve ever met Momma Moy, you know she’s a pretty splendid human being. From the same person who laughs at her own jokes and gets emotionally attached to every contestant on American Idol, here are the top SIX lessons I have learned from Julie Moy. Mom: Do you want a sandwich? Mom: Go make it yourself. Me: Did you just ask if I wanted to make myself a sandwich? Mom: I just bought all the ingredients, you know where they are. In that moment I laughed and lovingly sighed “oh mother…”, but in retrospect I noticed throughout my entire life my mom has taught me the value of being a self-starter. I am constantly reminded that if I want something, I need to get up and do it myself. Nothing will ever be served to me on a silver platter. Not even that sandwich. Never. Buy. Anything. Full. Price. My mom has taught me very little about boys and dating. However, the one thing she HAS taught me is that a boy should never define who I am. If by chance I do meet a nice one, be smart. Just, be smart. 4. EAT THE DAMN CUPCAKE! My mom is the type of person who drops you off at school in front of all your friends and shouts, “HAVE A NICE DAY, I LOVE YOU!” as you get out of the car. Emphasis on the ‘shout’ part. My mom is a naturally light-hearted person and doesn’t care what people may think of her, even though I can always been seen in the corner covering my face in embarrassment. She will dance in the middle of the street to Donny Osmond, jump up and down in excitement when she bakes something right the first time and is not afraid to look a little silly. From this I have learned that being goofy and awkward is something to embrace, not embarrassed about. 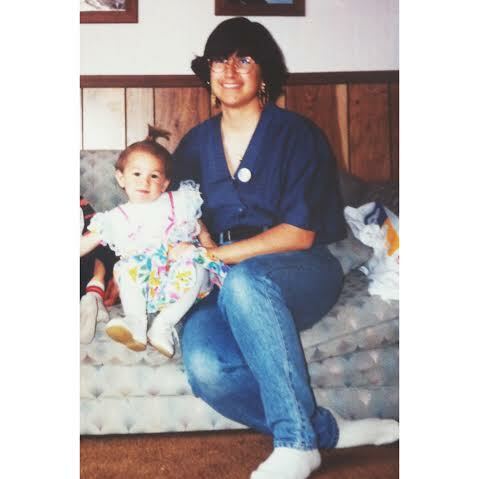 Love you mom, thanks for being spectacular.